This high-quality functional hip joint model with ligaments shows the anatomy and possible physiological movements of the human hip joint in exceptional detail. This mode clearly demonstrates abduction, anteversion, retroversion, internal and external rotation. The color of the natural-cast bones is extremely realistic. The cartilage on the hip joint surfaces is marked blue. 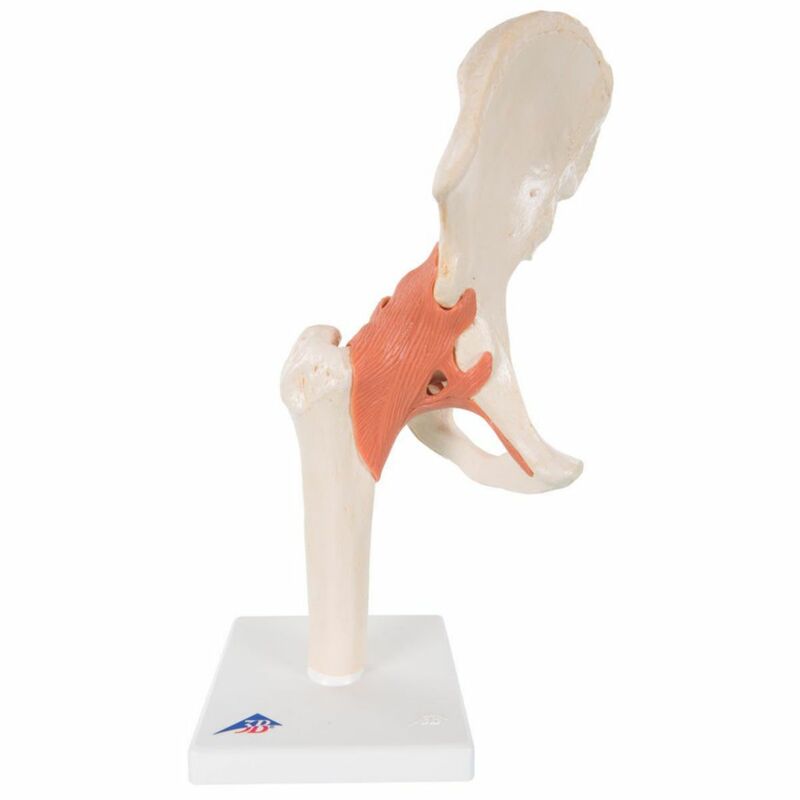 The functional hip joint consists of portion of the femur and the right half of a pelvis. Mounted on a base for easy display in the classroom or doctors office.